Water Transfer Printing is still very new to Canada, and many people do not know where or how to start the process. By you coming across this page already puts you a few steps ahead of the industry! Liquid Customs has clientele stretching across North America, notably for our excellent quality of work. If you’re thinking of opening a business or expanding to offer WTP services. Look no further. We are searching for a very limited amount of business owners or individuals that want to offer the best Water Transfer Printing Services in their respective cities. Coupled with the best support, training and supplies needed to make your Water Transfer Printing business an exciting and successful journey. Having a business is great, but why stop there? An additional income and expanding your demographic is strategically smart for any business owner. Water Transfer Printing does exactly that and more. People are asking for the services, but not many are offering it. We have all types of businesses offering Hydrographics as a great second source of income to their businesses and loving every dip of the way. Providing you with all the training, support and products to introduce a very fun and successful addition to your company. There is nothing better than being your own boss. What makes that experience even greater, is having a successful business. If you have been waiting for the perfect opportunity to finally start your own business, Water Transfer Printing might be exactly what you have been waiting for. One of the fastest growing industries with a huge untouched market is waiting for you! Our Dealership package provides everything you need so that you, the business owner can open your doors with confidence and excitement. Hydrographics delivers a truly exciting and amazing way to branch into being your own boss. Let us help you create a grand opening of a lifetime. Give us an email/call today! As leaders in this industries we custom build 9’ by 4.5' dipping tanks. We’ve got your back here too, full support on all of our products sold and we will remain your one stop shop for all things Hydrographics. Liquid Custom’s online store lets you buy all your hydrographic supplies and at Canadian pricing! Liquid Customs, puts together a completely customized package which includes absolutely everything we use on a daily basis. This package is specifically put together for a Business Startup, saving you an endless amount of time trying to figure it out on your own. We are a licenced body shop distributor, all things auto body we sell. From paint guns, sand paper, paint, clear coat, even paint masks and suits. You name it! As leaders in this industries we have designed industry leading tanks custom built for our processors! Settings, best practices and all the best tips and tricks. You will also be leaving training with a box, yes a box full of supplies! Our webmasters are on standby, waiting for your location details. Listing your location details on Canada’s #1 Hydrographics Company as a Liquid Customs Certified Processor! Joining the family now gives you exclusive Dealership pricing, making certain your business is getting the best pricing on all the supplies you need. We’ve got your back, after training we don’t stop supporting you. We will be doing behind the scene marketing, and advertising bringing more work right to your door. If you want some marketing done in your city or specific region, we have all the marketing material needed to get that done! Liquid Custom’s online store lets you buy all your hydrographic supplies and at Canadian pricing! Over and above you will be leaving training with a box full of goodies, film and Liquivator that will last for months! Hydrographics uses Paint/Body Shop Equipment, Paint booth, Air Makeup, Compressor, Paint Guns, Sanding/prep tools. I don’t know how to Paint, Is that a problem? 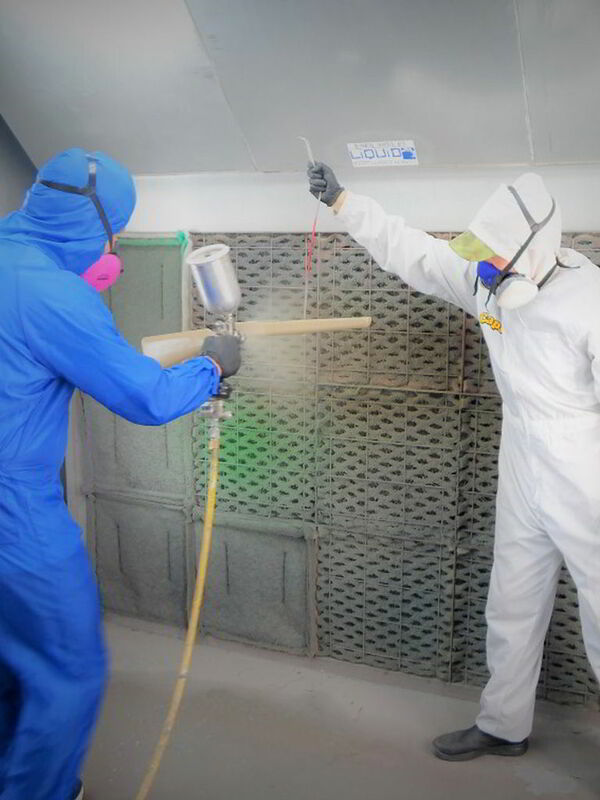 Some of our processors hire a full time painter or even outsource the painting. Painting experience definitely helps but is something more training can cover for you. We recommend body shop experience. I’m starting up a Business, can I be a candidate? Of course! Hydrographics offers an exciting, rewarding and great income for your first business. We would love to be apart of that with you. Can I Buy Supplies From Liquid Customs? Yes, we offer some of the best pricing in North America, visit our online store and order today. If it is your first order, message us today for a discount code! Do you Sell Hydrographic Tanks? We sure do, our hydrographic tanks come complete sized 9’ by 4.5', built in Canada and are CSA Approved! Can we buy supplies from other vendors? Of course! Infact we set you up with all our vendors at our current rates, we have made lots of friends over the years and you are getting all that. Although, buying from us is going to be less expensive, quicker and will ultimately support the company you just bought into. Do you offer financing or payment plans for the buy in? In-house financing is an option, generally with 40-60% down. Liquid Customs is not a franchise, joining us would be joining our family, we have mastered techniques and found the exact products to use to make us as successful as we are today. When you join us, you are taken under our wing and driven to that same success. We work directly with you and make sure you are 100% confident before taking on any jobs. Everything from our training down to our products will instantly set you apart from any competition. I’m ready to buy in! What is next? Awesome! Below this, is a short submission box, please fill in the required information and one of our staff will get back to as soon as possible. Are you looking to Start-up or Expand? How big is your garage/shop/facility? How did you hear about Hydrographics?